David Seifert spent the last decade working as an area scout and cross-checker with the Philadelphia Phillies. Previous to scouting, he spent nine years as a Junior College and Division I baseball coach. Now he’s beating the bushes on the scouting trail for D1Baseball and Prep Baseball Report. This weekend’s stop was the Midwest to see four more of our Midseason Top 150, as well as a couple of interesting senior arms. With warmer, more baseball-like weather this weekend in the Midwest, the Scouting Trail didn’t take me too far from home. With both Grand Canyon and Dallas Baptist traveling north, I let the warm weather schools come to me. Friday evening the strong armed Jake Wong from Grand Canyon started in Champaign, Illinois against the Fighting Illini and the power bat of Bren Spillane. 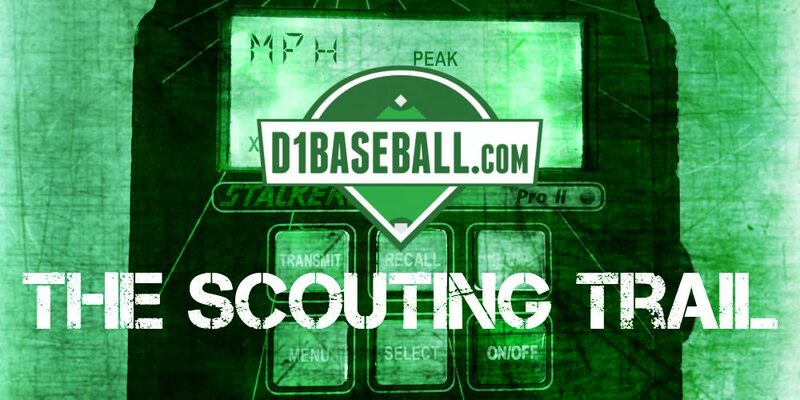 Saturday, I traveled to Terre Haute, Indiana to catch a glimpse of two of the top hitters in the country, both from Dallas Baptist; Jameson Hannah and Devlin Granberg. On Sunday I returned to Illinois Field to catch a four more Spillane at-bats. As for tools and talent, here’s what I saw. In addition to reports on those prospects, we also have reports and nuggets on prospects for Arizona State, Seattle, UNC Wilmington, Towson, Utah and Seattle, among others.